Agriculture Mechanics students learn the basics of Small Engine operation, disassembly and assembly in the classroom. In the lab portion of the course, student groups will disassemble, measure components, and reassemble the engine to learn the basics of small engine design. Agriscience students conduct an experiment that calculates and compares the amount of water various seeds absorb during the germination process. Students collected data on water absorbed by corn, wheat, and beans. Students in the Introduction to the Agriculture Industry class learn the basics of hand tool and power tool safety. 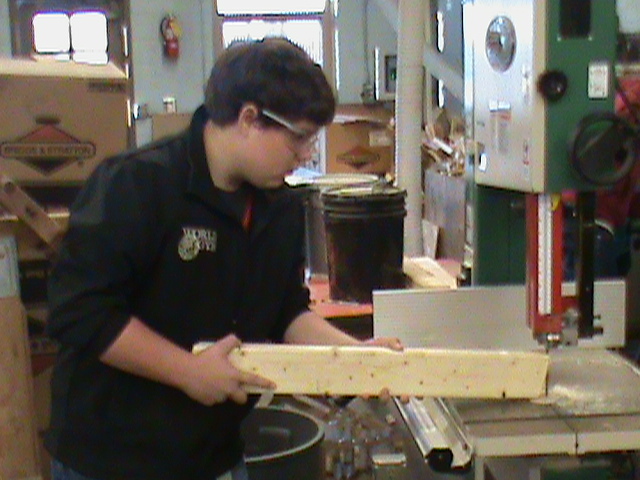 Students in groups apply these safety practices in constructing sawhorses using various tools during the process. Students in the Agriscience class set up an experiment to analyze the effects of different temperatures on seed germination. Students practice measuring the pH of common substances and identifying the substances as acid, alkaline, or neutral. SCHS Agriscience students measure the perimeter of rectangular and triangular tracts of land on campus. Groups also calculate the area of the tracts in square feet and acres. BSAA Animal Science students conduct an experiment that shows how the enzyme amylase in saliva begins the digestion of starches into sugars in the mouth. Sugar in the Benedicts Qualitative Solution turns a different color instead of blue. Starch in the presence of iodine turns purple black and stays blue in the presence of Benedicts solution. 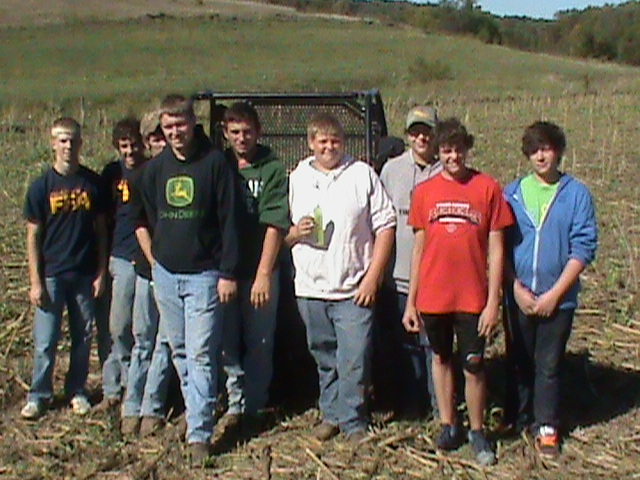 SCHS Land Use CDE Team (l to r): Trace Tuthill, Skylar Williamson, Trevor Williamson, Blaze Porter, Travis Bantz, Cody Scott, Mike Steelman, Brock Stotler, and Kyle Ball.